I'm currently having issues with lack of pressure for my pancakebot? Anyone else experiencing this? If so, got any hints? Grant Yes, if you accidentally let the batter get into the vacuum hose, it may have sucked all the way into the pump. (This is my current situation...I verified there's batter actually in my pump.) To test, I put a balloon on the end of the hose, just to see if it would inflate or deflate while printing. Nothing happened, thus I started disassembling. I would not recommend disassembly to anyone else. Sorry I don't have much advice, other than to check if the hoses are obstructed. The PancakeBot is the world’s first food printer capable of printing pancakes by automatically dispensing batter directly onto a griddle in any shape of the user’s choosing. 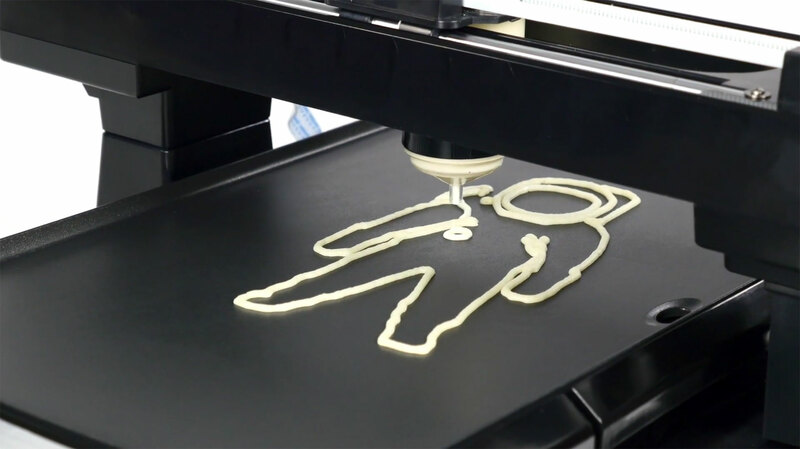 Pancake designs can be loaded onto the PancakeBot via USB or SD card. Representing an evolution in food-printing technology, PancakeBot lets kids and adults express their creativity through food while exploring technology. © Storebound. All Rights Reserved. This text will display in the Announcement Box.